But then she met an activist from an Orthodox NGO, who took her in to a shelter in central Moscow for expectant mothers, and changed her mind. Sitting in her small, cosy room, 33-year-old Kuzeva cradles her baby boy Ilya as four-year-old Antonina plays with her doll. “We are taking you in, but you won’t be having the abortion,” Kuzeva recalls being told. The Mother’s House shelter takes in 10 women and their children for up to a year. Opened in 2012, it was its director, Maria Studenikina, who persuaded Kuzeva not to abort. “The Orthodox Church and the public are very concerned about abortions today,” said Studenikina. Across Russia, the pro-life movement, which espouses nationalist and Orthodox values, is growing in influence and is embraced both by religious groups and government agencies. “The security of our state depends on what sort of population we have,” Studenikina told AFP, sitting under an icon of the Virgin Mary. Russia’s abortion policies have changed drastically several times in the past century. After the Bolshevik Revolution, the Soviet Union became the world’s first country to legalise abortion in 1920. Stalin then banned the practice for nearly two decades. Later, it became the primary method of family planning, until contraception and information became widely available in the 1990s. In 1993, the abortion rate was one of the highest in the world, at 235 per 100 live births, but had plunged to less than 44 by 2015, according to state statistics agency data. Nevertheless, with the Church holding more sway in decision-making, and the government keen to increase the birth rate, abortions are still portrayed by the authorities as a growing problem. Lawmakers last year sought to remove abortions from the list of services covered by state health insurance. That bill was rejected but another one, requiring clinics to obtain additional certification to perform abortions, was passed. A nationwide petition to ban abortions altogether has collected over 400,000 signatures, including head of the Russian Orthodox Church, Patriarch Kirill, and influential Muslim clerics. 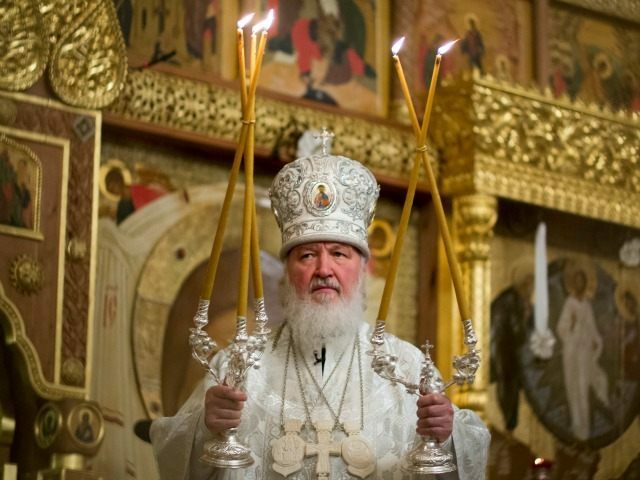 While most Russians say they are Orthodox Christians, only about five percent of the population regularly goes to church. Kuzeva still seems worried about the future. “I am glad I gave birth, but… we shall see what happens,” she said, her voice trailing off. Some are concerned the Church and pro-life activists are infringing on women’s rights. “Abortion prevention, as some officials see it — talking a woman out of an abortion and making her keep an unwanted child — is similar to torture,” said Lyubov Yerofeyeva, who heads family planning NGO, RANIR. Meanwhile, a weaker ruble since early 2015 has made imported contraception less affordable. In December, a project to open a condom factory in the small Russian town of Bogolyubovo, about 170 kilometres (106 miles) east of Moscow, was struck down after protesters linked to a local convent labelled it “unpatriotic”. The Russian government has branded RANIR a “foreign agent” group, under a controversial law on NGOs with international funding, effectively limiting its activities, while Orthodox websites accuse it of being behind a conspiracy to shrink Russia’s population. The health ministry works with Church-linked conservative groups against what they see as liberal western values. The St. Basil the Great Foundation, which supports Studenikina’s shelter, funds pro-life consultants in state clinics who, it says, persuade 15-20 percent of women not to abort. “Every abortion is a missed demographic opportunity,” says the website of the foundation, whose wealthy pro-Kremlin chairman Konstantin Malofeyev has been blacklisted by the US for allegedly funding pro-Russian separatist fighters in eastern Ukraine. Health Minister Veronika Skvortsova in January said the government’s anti-abortion drive led to a record 13-percent decline in 2016. Russia has tripled the number of prevention consultants and centres over the past three years and 39,500 women considering abortions changed their minds after their visit, she said. Another influential Orthodox NGO, the Andrew the Apostle Foundation, even funds an annual award for consultants who talked the most women out of their decision. Anatoly Vishnevsky, head of demographics at Moscow’s Higher School of Economics, questioned the minister’s figures, saying the drop probably reflected a fall in the number of pregnancies. Russia’s pro-life movement, he says, draws inspiration from US groups. The St. Basil the Great Foundation works with the US-based World Congress of Families, whose director Larry Jacobs came to a conference on family values at the Kremlin’s congress centre in 2012. “They don’t like America here but they like American pro-lifers,” Vishnevsky said.